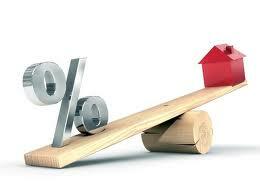 Saw an article this week that talked about low mortgage rates being used an incentive to help sell your home faster. Most mortgages are assumable, meaning the buyer of your home can take them over upon qualification. If interest rates increased significantly, then having a 3.69% mortgage could lead some buyers to your home. Is this a good time to buy a Rental property? 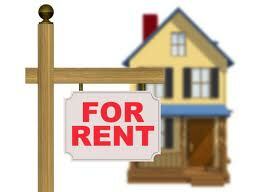 Owning a rental property can be a great way to build your net worth and also enhance your income. In recent years, house values increased to a point where it was next to impossible to find a property that had a positive cashflow. The biggest cost in owing a rental property is the mortgage. And we are seeing historical low interest rates …. under 4.00% for a 5 year fixed and variable rates of under 3.00%…. We arranged a 1st mortgage for $256,000. negotiated a 5 year fixed rate of 3.89% amortized over 35 years. tenant pays $1500/mth rent plus utilities. end result is a $133/mth positive cashflow. This was a good situation.. not all rentals will produce a positive cashflow but they don’t always have to. There are usually some tax advantages to owing a rental property that is producing a slight loss..
you should plan on holding for at least 7 years… most economic cycles will have run their course in that time and property appreciation is more likely…any initial costs incurred when the property was purchased are easier to absorb over that time. speak with your accountant and mortgage broker about obtaining the best financing…it usually makes sense to buy with as little down as possible, finance as much as possible and minimize or eliminate any profits to reduce income tax exposure….again, speak with your accountant. maximize the amortization your rental property so you can minimize the amount you pay towards the principal portion of the mortgage… again, this requires thorough of your personal situation but generally speaking, most borrowers carry other personal debt that should be paid off before the rental property mortgage. pay off all other personal debt first….. good debt is tax-deductible debt like a rental property mortgage….bad debt is non tax-deductible debt like credit cards, personal loans, mortgage on your principal residence. I love variable rate mortgages, but when it comes to rental properties, you need to consider a fixed rate… it’s important to know what your costs are when buying a rental property… many lenders don’t even offer a variable rate mortgage on rental properties which will limit your choice of lenders. Qualifying for a mortgage on a rental property has changed significantly in recent years. The biggest changes started immediately after the U.S. mortgage crisis in October 2008. Lenders all but stopped financing them. Earlier this year, the Federal government stepped in and changed CMHC’s rental policies for those with less than 20% down. I would say it’s almost impossible to qualify for a 1st mortgage greater than 80% on a rental property with ‘AAA’ rates. And for those with 20% down or greater (a conventional mortgage), it was still difficult to qualify. Most lenders changed their polices here as well. Some Lenders wanted as much as 35% down or had debt servicing ratios that were not reasonable or practical. 5.5% Cashback mortgage… is this a good deal? The deal is simple.. you must take a posted 5 year fixed rate….currently at a very low 5.39%. You get 5.50% back in cash. Sounds pretty good but how does this compare with taking a discounted 5 year fixed rate of 3.69%? We’ll use a $200,000 mortgage with a 25 year amortization in this example…. 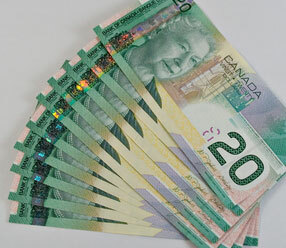 5.5% cashback equals $11,000 in cash to you. mortgage rate of 5.39% will give you a monthly payment of $1,208.01. interest rate would be 3.69%. your mortgage balance after 5 years will be $173,155.72. And the end result is…..your monthly payments alone would almost balance out… there is a savings of $358.60 in favour of the discounted rate. But look at the difference in the balance at the end of 5 years…. a $4,925.19 additional savings.